Securely access and edit your files on any computer. Get files from home while at the office. Listen to the music on your My Book World Edition drive while you’re on vacation. Securely share photos with your friends anywhere in the world without uploading them to the web. Back up your laptop data to your home computer while you’re traveling. Offer your clients an easy way to access business documents, designs, and artwork. Eliminates the need for a separate FTP server. Back up critical files to a remote drive for the ultimate protection from loss. 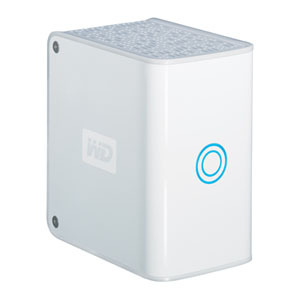 Simplify your home network and access data from any computer or external hard drive in the house. Automatically back up all your PCs to one central location. Gain peace of mind with a mirrored back up of important documents and images. To install a fully functional Linux web server on a new WD MyBook World all the fallowing steps must be executed in the given order. You may alter this order or the commands provided if you what to customise the server. Start SSH server – Access the Admin web interface to enable the SSH support. Firmware Update – Important information about the Update Firmware process. Performance Optimization – Reduce the memory usage and reduce the fan and drive noises.